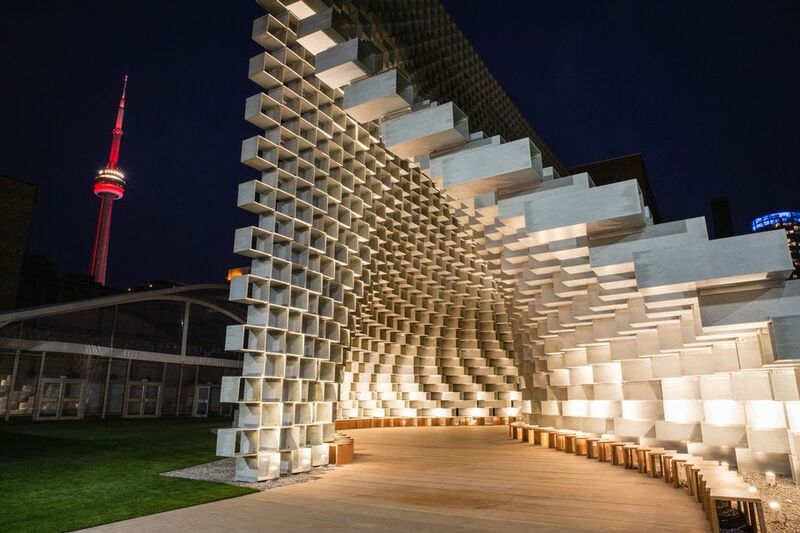 Like many of the temporary designs created for the Serpentine Galleries’ annual summer architecture competition, the 2016 Unzipped pavilion by the Danish architect Bjarke Ingels was acquired by a wealthy collector: the Canadian developer Ian Gillespie, whose company Westbank was a sponsor of the London presentation. Last month, the shape-shifting 14-metre-high, 27-metre-long installation made the move to inner city Toronto, where it was unveiled on the site of the architect’s next commission for Westbank, a massively ambitious housing complex on King Street West. Ingels’s towering deconstructed wall, created using 1,802 extruded fiberglass frames stacked to create a curving cave-like passage, is now set against a block of Victorian industrial buildings and an urban skyline, rather than the lush lawns of Kensington Garden. But it could soon make stop in other cities in Canada—and even New York and Shanghai—before it settles in its permanent home on the Vancouver waterfront, next to another Westbank property, the Shaw Tower.